Now that we’re all on the same page about what alpine touring is and why you should give it a try, let’s talk about what you need to know and do before you actually get out there and start touring yourself. Part 1 only just scratched the surface of topics like safety information, necessary gear, and where to ski. This post will provide details about all three of those topics, and will have you sliding down, and up, the mountains near you once the snow starts falling again. Regardless of your experience level, you have a pretty clear understanding of the inherent risks of skiing. Speeding down a hill with limited protective gear, while weaving through immovable objects sounds like a recipe for disaster, and it’s only your skill or the terrain you choose to ride that helps you avoid injury. Alpine touring has those same risks, plus the added dangers that come with skiing uphill and in the backcountry, as well. Because AT skiing often brings you into remote mountain areas (even if it’s just to a seldom-visited corner of a ski resort) it is important to never tour alone. Even a good skier can find him or herself in a situation that they simply can’t get out of without assistance. A partner can help you out of a tree well, find your lost ski pole, call a helicopter rescue, dig you out from under an avalanche (more on that in a second), or just take a sweet photo of yourself waist deep in powder. If there is one thing you take from this post it should be this: never go into the backcountry alone. There are other important safety considerations, though. Alpine touring demands certain knowledge about the variable snow conditions you’ll come across. Understanding the snow you’re skiing on will help you make decisions throughout the day about whether or not the snow under your feet will slide and if it’s safe to continue. It’d be impossible to write up an avalanche safety course in a single blog post, so I won’t try to, but knowledge of avalanche safety is essential before you lead your own trips into the backcountry. Avalanche safety and AT ski education courses are available from many different organizations. NOLS and Outward Bound offer extended courses, while many resorts have single day lessons of their own. You’ll learn how to recognize safe vs. dangerous snowpack conditions and you’ll get comfortable using your AT safety gear – beacons, probes, and shovels. As you know from Part 1, the baseline necessary gear list for AT skiing is, skis, boots, bindings, skins, and poles. Part 3 will discuss specific options for each of these categories and all the great deals you’ll find on this gear at skis.com. But you’ll need a bit more equipment to stay comfortable and safe on a touring day. Let’s start with the mandatory gear. It’s 2017. Helmets aren’t uncool anymore. In fact, if you aren’t wearing a helmet, not only are you jeopardizing your safety on the slopes, you’re also dressing off-trend. Avalanche beacon. An avalanche beacon is a device that transmits/receives a radio signal, allowing your ski partner to locate you in the event you are covered by an avalanche or allowing you to do the same for them if the roles are reversed. No one should ski in unpatrolled terrain without a beacon. A probe is a collapsible pole that helps you precisely locate a buried partner after your beacon has given you a general location. A ski shovel is a small, usually foldable device that you’ll use to dig your friends out of danger. You can also use them to build big backcountry ski jumps. There are of course some other accessories you might want to bring along to maximize your enjoyment, but these aren’t any different than what you might bring on a normal ski day. Sunscreen, lip balm, extra layers, a bottle of water, good eye protection, and maybe a good ski backpack to hold it all together. Oh and don’t forget snacks. Most places you’ll be touring won’t have a ski lodge or a smoky grill. If you’re interested in alpine touring, you’ve probably pictured yourself snapping down your bindings after a long climb up some craggy summit, before descending a line fit for a ski film. But it’ll take time to work up to that, so where should you go in the meantime? My best advice, head to your local ski resort. Most resorts allow uphill skiing in certain areas, or have sections of unpatrolled terrain that are perfect proving grounds for your touring skills. For hands on instruction in all of the skills necessary for AT skiing, book a guided tour. To hone your skills in the Tetons, check out Exum Guides. To see the Colorado Rockies from a whole new perspective, try Rocky Mountain Guides. And to access untouched, light and dry powder in the sunny Wasatch range of Utah, get in touch with Utah Mountain Adventures. AT ski guides will do more than just show you where to go to find the best snow. They’ll teach you avalanche safety, mountain navigation, the correct ways to use and maintain your gear, and they’ll provide technique tips for traveling both up and down the mountain. 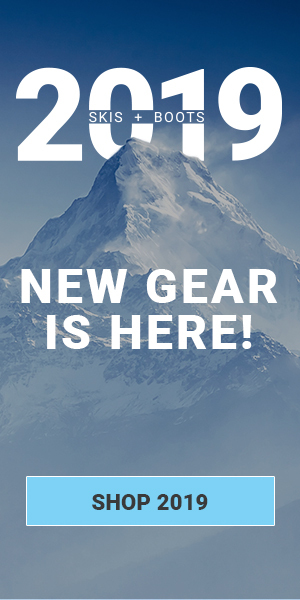 All you need now is to pick up the perfect gear for your ski style and then head out the mountains. Check back soon for the specific gear guide in Part 3.